The "Big" difference from the last two years-these are quarter scale. One inch vs. Quarter inch. Neat, isn't it? I did get a lot of requests for more 1/2 and 1/4 scale items when I did my shows last year. Then when I made some items, they didn't sell at all. Funny how these things work. My family thinks I'm crazy too. 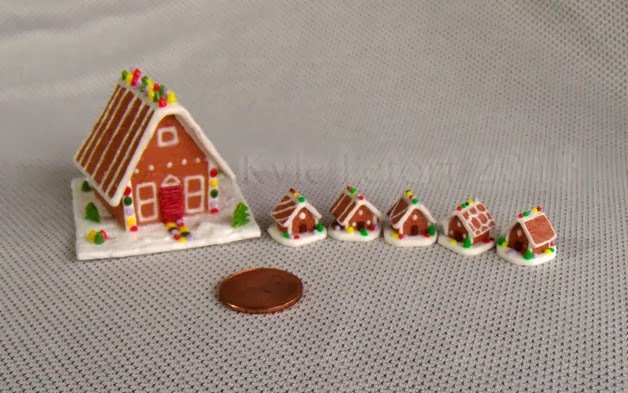 XD I already had some one inch scale gingerbread houses though, so it was a good time try and make the quarter scale ones. 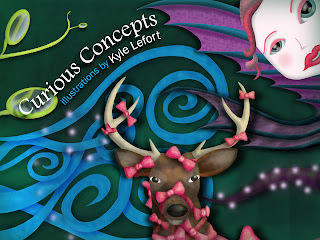 Wow, Kyle! 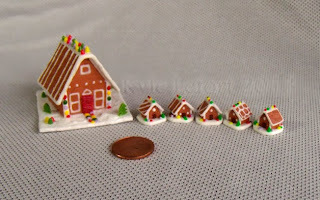 These tiny gingerbread houses are Enchanting!!! Quarter scale is what my Tree House project is done in... I admire your Teeny Tiny minis!!! great little houses - such detail. Very realistic - great photos too! Śliczne piernikowe domki. Są takie maleńkie! Jestem tu pierwszy raz, ale z pewnością będę tu zaglądać często :) Pozdrawiam!